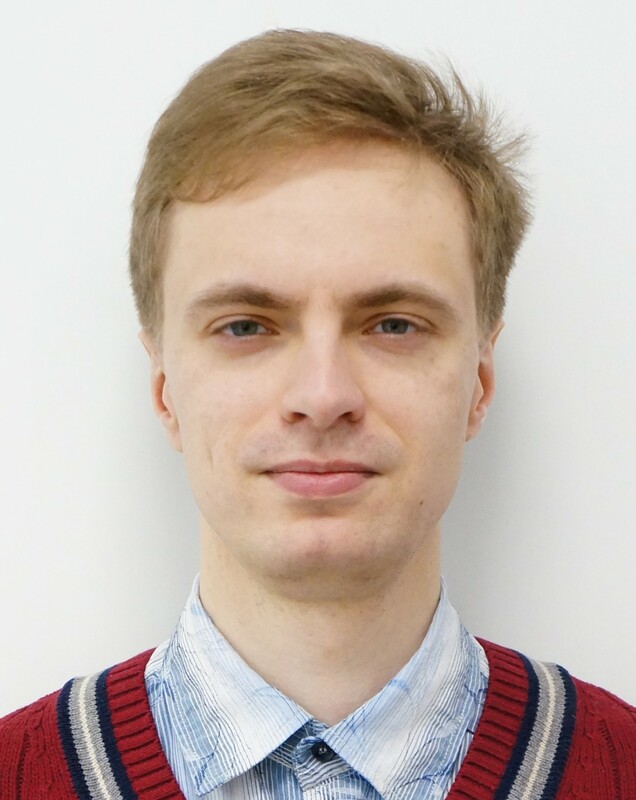 Vladislav has expertise in quantum physics, electronics, modeling, programming and other areas. He studied at the Department of Quantum Physics at the National Research University of Electronic Technology (MIET), Department of Electronics and Computer Technology. He received his Master’s degree in Electronics and Microelectronics in 2011. His thesis was about the methods of obtaining carbon nanomaterials in high-voltage discharge. He obtained his Candidate of Sciences degree in February 2015 in Technical Sciences in the field of solid-state electronics, radio-electronic components, micro- and nano-electronics, and devices based on quantum effects. During his postgraduate studies he was developing the methods for the synthesis of graphene structures to create self-aligned elements of micro- and nanoelectronics. He was working on the problem of the production of ring-shaped nanotube and graphene. Vladislav has skills in creating various devices, for laboratory and everyday needs, from laser lithographs to DNA extraction facilities. He likes to invent, to program and to create working devices that everyone needs. Two of them were designed for Skolkovo and are now used in the laboratory of nanomaterials: one makes laser surface treatment and allows creating drawings of a given geometry, and another device is for testing the elastic and electrical properties of samples. English Language, philosophy, Solid-state electronics. Modern aspects of electronics, History and methods of science and technique, Special features of mathematics, Computer technologies in science and education (physical bases of quantum informatics), Modern physics issues, Philosophy (special types of translation), Quantum theory of solid state, Design routes of IS, Methods of theoretical and mathematical physics, X-Ray beam technologies for micro and nano-electronics, Physical bases of nanotechnology, Fluctuations and noise in physical systems, Probe nanotechnology methods, Design and development of scanning probe microscopes, Optical and quantum electronics, Quantum computing, Foreign language (special types translation), Modern methods of quantum structures inspection, Devices and integrated circuits on the basis of GaAs, System Environment Quality. Nanoelectronics, Scanning Probe Microscopy, Nanowires, Nanotubes/Graphene devices and application, Nanosensing, Nanomaterials, Nanolithography (probe, ion beam, laser), Decoding the sequence of DNA, DNA isolation, Creation of laboratory equipment and automated systems.